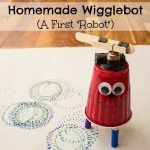 My first child started attending a Montessori preschool just before his 3rd birthday. One of the tools which his teacher said he had trouble understanding was the Montessori pink tower. After I looked up what a “pink tower” was, I just couldn’t believe that my son was unable to stack blocks in order of size. However, I was also unwilling to pay nearly $40 (Affiliate Link) to prove to myself that he could. 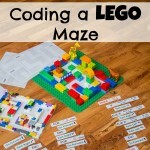 After several months, when my son was three and a half, his teacher was still saying he was unable to do the pink tower. Still unable to believe it, I decided to make one myself. I was actually pretty pleased with the result (and the total cost of under $5). However, I was a little disappointed with the amount of time he spent using it. I asked him to show me he could do it and he stacked the blocks in the correct order, but completely forgot about one of the blocks. I showed him he forgot one and he did it again correctly the second time. In my opinion, his problem was more of an attention span issue than a stacking issue. Since he never really used them again, I’m hoping they’ll come in handy when my 2 year old is a little older. Note that when I’d completed the tower, I basically just gave him the blocks and said, “Do it.” After all, he’d seen them at school. 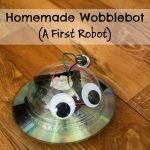 However, if you’re interested in introducing the pink tower to your child in a way that wouldn’t make Maria Montessori cringe, check out this tutorial on the correct way to present this learning tool from Carrots are Orange. The first step is to trace out all the square and rectangular shapes to be cut to make the blocks onto the foam board using a ruler and pencil. Going along with standard Montessori specifications, my largest cube was 10 cm on each edge and my smallest was 1 cm. 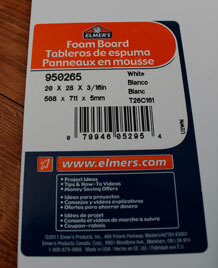 Since the foam board itself has a thickness of half a centimeter, all the sides of each cube are not the same size. 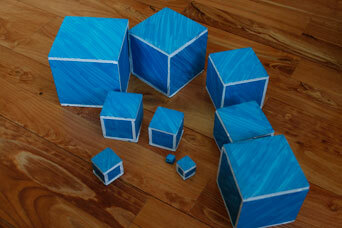 For example, the 10 cm cube is made of two 10 cm x 10 cm squares, two 10 cm x 9 cm rectangles, and two 9 cm x 9 cm squares. 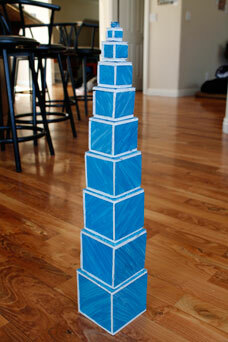 The 1 cm cube is made by stacking and gluing two 1 cm x 1 cm squares. Here is a diagram of the shapes that I drew onto my foam board in centimeters. 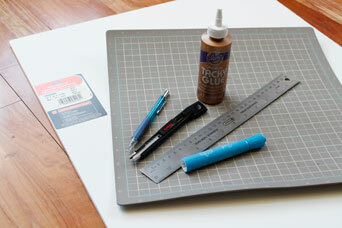 Cut out all the shapes using an x-acto knife on a safe cutting surface, like a self-healing mat. Color or paint one side of each shape if desired. 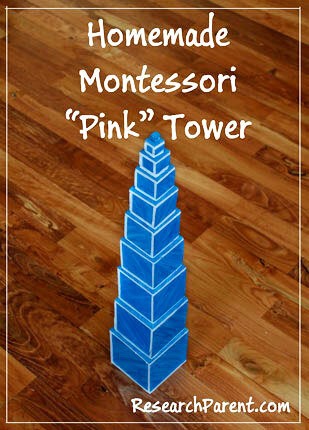 Although the standard Montessori tower is pink, I like blue better. Glue the shapes together to make each cube. 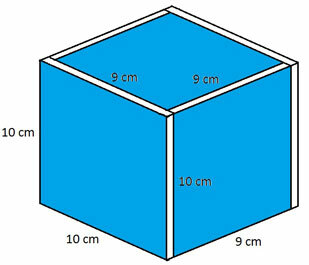 As stated before, the 10 cm cube is made of two 10 cm x 10 cm squares, two 10 cm x 9 cm rectangles, and two 9 cm x 9 cm squares. This diagram shows how they are assembled. 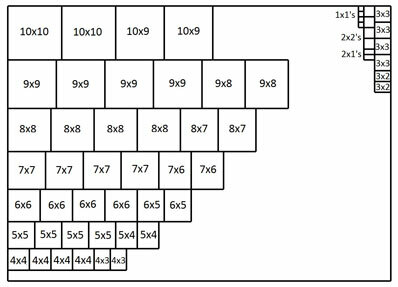 Similarly, assemble the 9 cm cube using two 9 cm x 9 cm squares, two 9 cm x 8 cm rectangles, and two 8 cm x 8 cm squares. Assemble the 8 cm cube using two 8 cm x 8 cm squares, two 8 cm x 7 cm rectangles, and two 7 cm x 7 cm squares. Assemble the 7 cm cube using two 7 cm x 7 cm squares, two 7 cm x 6 cm rectangles, and two 6 cm x 6 cm squares. Assemble the 6 cm cube using two 6 cm x 6 cm squares, two 6 cm x 5 cm rectangles, and two 5 cm x 5 cm squares. Assemble the 5 cm cube using two 5 cm x 5 cm squares, two 5 cm x 4 cm rectangles, and two 4 cm x 4 cm squares. Assemble the 4 cm cube using two 4 cm x 4 cm squares, two 4 cm x 3 cm rectangles, and two 3 cm x 3 cm squares. Assemble the 3 cm cube using two 3 cm x 3 cm squares, two 3 cm x 2 cm rectangles, and two 2 cm x 2 cm squares. Assemble the 2 cm cube using two 2 cm x 2 cm squares, two 2 cm x 1 cm rectangles, and two 1 cm x 1 cm squares. Assemble the 1 cm cube by gluing two 1 cm x 1 cm squares together. That’s so cool! Thanks for sharing. I’m not sure how laser cutting services work, but that would be so convenient!